Meet the 'Beer Brewing Bender,' a home-brewing machine that's got a computer for a brain—with an actual MOS 6502 processor, just like in the show. 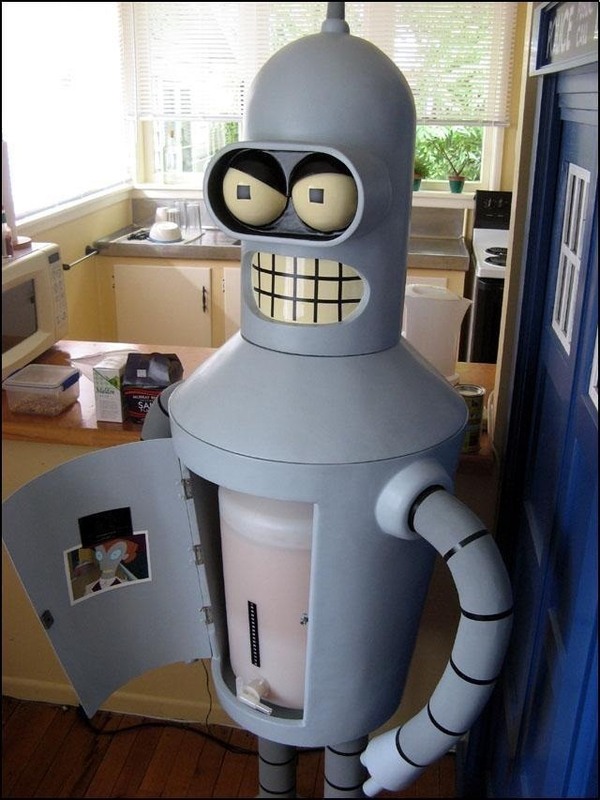 Bender's body is made from medium-density fiberboard and covered in cardboard that's coated with fiberglass. The eyes, head, and feet are polystyrene balls cut in half, and the legs are PVC. The 'brain' is a computer built from 70s and 80s parts, and old audio chips allow Bender to say pre-recorded phrases. The whole thing is connected to a remote control, which looks just like the remote from the show and makes him talk when you press a button. You can find a very detailed description of the building process, along with tons more photos and circuit diagrams on the project page.